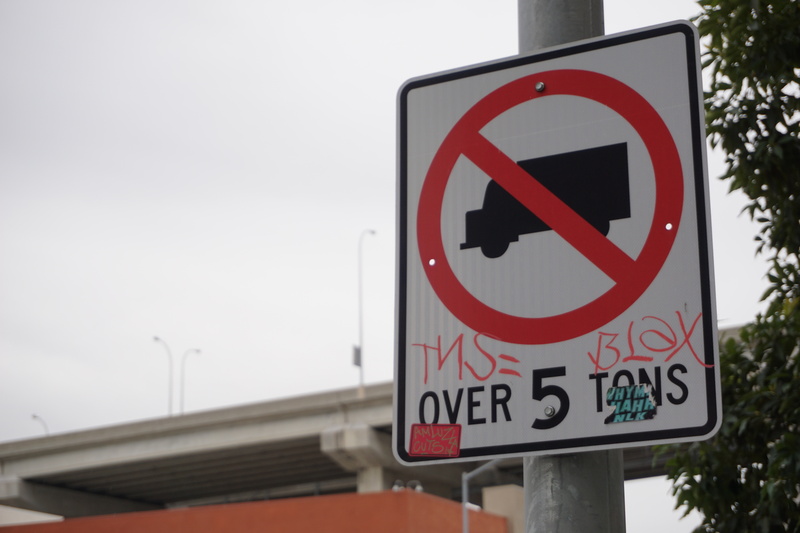 Over a decade since the City of San Diego approved a resolution to reduce the number of five-ton trucks that drive through the community of Barrio Logan, residents and activists believe it has done little to solve the problem. Sitting outside of one of her neighbor’s home on Boston Avenue and 30th Street, Barrio Logan resident Philomena Marino pauses to let a semitrailer drive past before she speaks. “Monkey see monkey do, it started off with one or two but it’s increasing,” Marino said as the semitrailer continues driving down the residential street. The reality of having several five-ton trucks drive through the streets or idle is that it affects the health of the residents who live there, according to Marino. 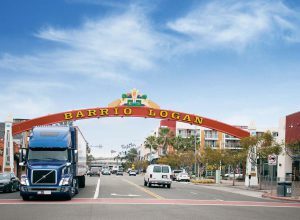 The community of Barrio Logan is unique in that it is surrounded by freeways, the Port of San Diego Tenth Avenue Marine Terminal, and several industrial companies, all of which play a role in the amount of traffic within the community and the number of semitrailers that travel on the streets. 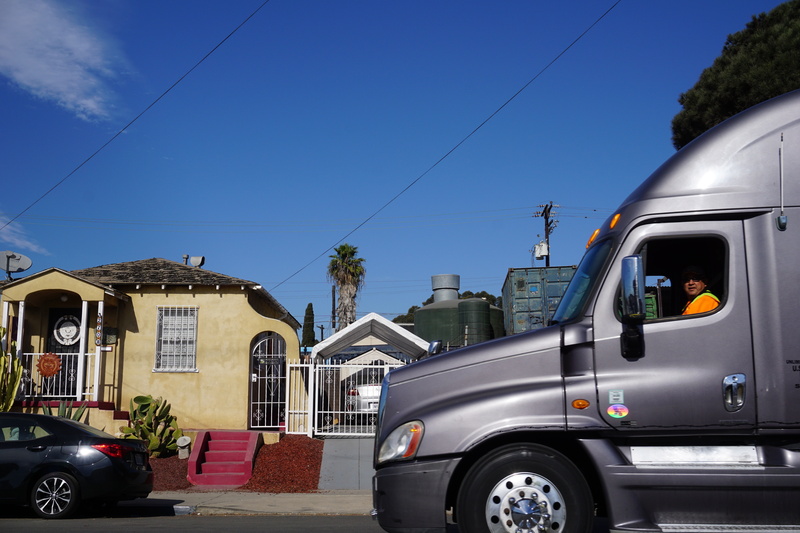 The Barrio Logan Clean Air and Safe Streets Ordinance proposed by a local environmental advocacy organization aims to set a strictly enforced designated truck route to prevent semitrailer drivers from cutting through residential streets in Barrio Logan. Under the ordinance, drivers who deviate from the route would be ticketed. 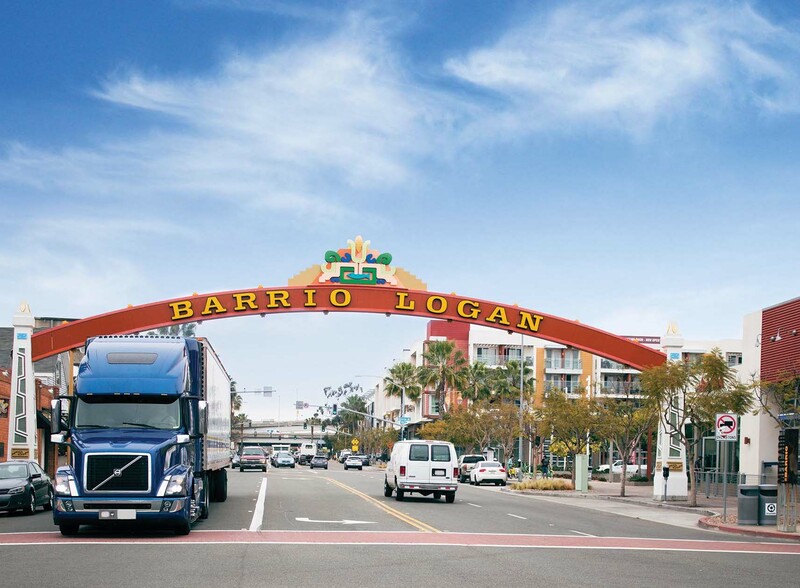 In 2005, the San Diego City Council approved a resolution that aimed to prohibit commercial vehicles of five or more tons to use certain streets in Barrio Logan. Signs were also installed on streets as a result of the resolution. Streets like Cesar Chavez Parkway from Harbor Drive to Commercial Street, Main Street from Cesar Chavez Parkway to Sampson Street, and others are identified as prohibited in the resolution. The Port of San Diego implemented a designated truck route to remind their drivers not to go through the community, and nearby companies also ask drivers to avoid residential streets, however due to traffic and unfamiliarity with Barrio Logan some drivers deviate from those routes. 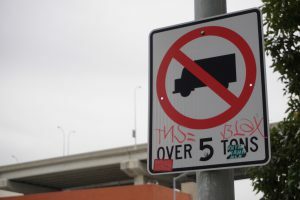 Although the resolution has been in place for more than 12 years, a recent study found a significant amount of truck traffic on “prohibited” streets like, Main Street, Sigsbee Street, and Cesar Chavez Parkway. The study, was completed by a contractor for the Port of San Diego to understand the amount of truck traffic outside the recommended route, and to specifically identify the portion of traffic linked to the Tenth Avenue Marine Terminal. According to the study of two days in 2017, a total of 421 trucks traveled through the three identified restricted streets in Barrio Logan, 53 of which were Tenth Avenue Marine Terminal trucks. Jorge Gonzalez, community organizer with the Environmental Health Coalition, has led the efforts to have a truck ordinance and said that although the organization considered the resolution a small victory in environmental justice for the community, it did not solve the problem. 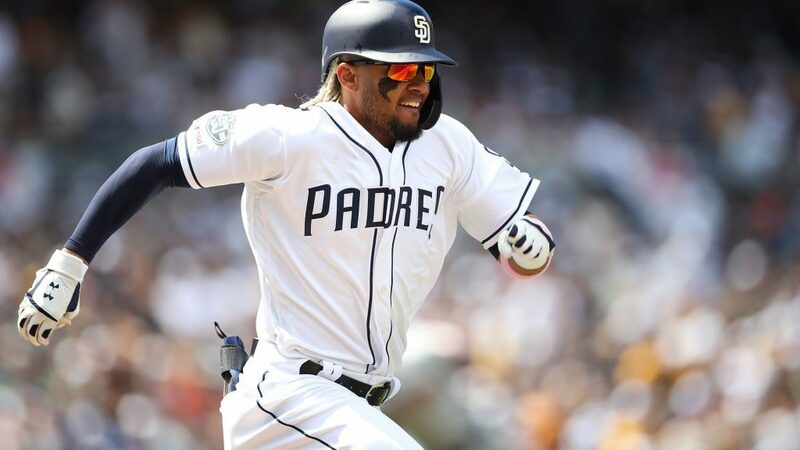 The resolution, however, is being enforced, according to the San Diego Police Department Traffic Division. Officer Christine Garcia, who recently began working the Commercial Vehicle Enforcement Unit, said in an email on Tuesday, March 20, that she has stopped “quite a few large vehicles” for violating the signs. “I can say some vehicles I have stopped, the driver received a ticked (sic) and some received a written warning, depending on the situation on why they were on the street (i.e. 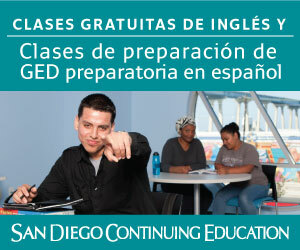 making a delivery),” Garcia wrote in the email. 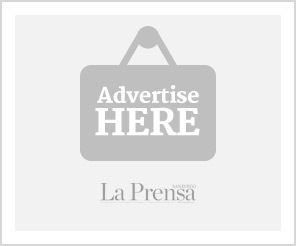 La Prensa San Diego requested information on the number of semitrailers stopped for driving on prohibited streets and the number of drivers ticketed from the San Diego Police Department, but did not receive a response before this story went to print. Certain streets, however, were not identified in the resolution and are experiencing high semitrailer traffic, such as Boston Avenue. Marino said she believes the greatest offenders are the recycling companies near Boston Avenue, like SA Recycling, a metal recycler and processor on Main Street. Marino’s parents purchased their home on Boston Avenue 56 years ago, long before the five freeway was built. 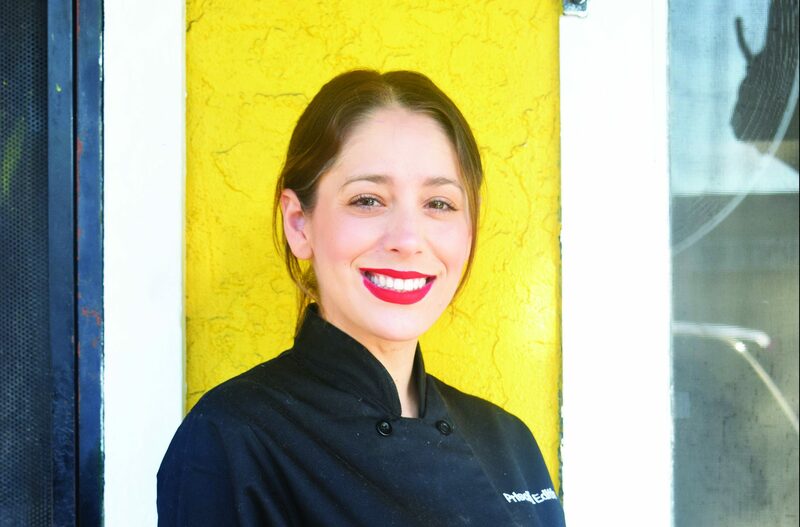 She moved back 12 years ago, and has made it her passion to stand up for the older residents on her block that have dealt with the noise, smell and pollution from the freeway and semitrailers that drive down Boston Avenue. “They could(n’t) care less whether or not they are driving in front of our homes and affecting our health,” Marino said. According to Jeff Farano, manager of governmental relations for SA Recycling, they instruct all truck traffic to and from SA Recycling to use Main Street to access the freeways and to avoid using Boston, a policy which has been in place for several years, he wrote in an email on Tuesday, March 20. “SA provides an important environmental service to the surrounding community and strives to be good neighbors and responsive to the neighbor’s concerns,” Farano wrote in the email. Marino disagrees and said they are not being good neighbors and believes that trucks exiting and entering SA Recycling have shown other trucks the way through the street. “We never had Dole, we never had Pasha trucks, we never had any of that come through until SA kind of showed them the way,” Marino said. Farano wrote that access to the I-5 southbound is on Boston Avenue and the company does not have control of who uses Boston to enter the freeway. “There may be times where a new driver coming from SA will find Boston as the most logical way access (sic) to that freeway onramp and SA will continue to educate the drivers on this policy,” Farano wrote. Residents like Marino, and staff from the Environmental Health Coalition carried out truck surveys in the community, between 28th Street and 32nd on Boston Avenue in 2017, and found that an estimated 35 to 55 trucks drove by in an hour. 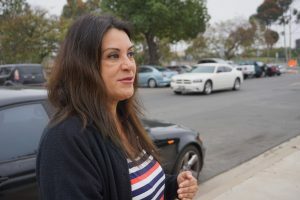 The surveys were a result to concerns from residents that the expansion of the Tenth Avenue Marine Terminal, which is located at the footsteps of the community, by the Port of San Diego would only increase the amount of trucks that go through Barrio Logan, Gonzalez said. And although the study showed that only 13 percent of the truck traffic observed outside cordon points is attributed to Tenth Avenue Marine Terminal operations, the Port of San Diego has taken several steps to reduce their impact. Daniel Valentine, manager of Maritime Operations for the Port of San Diego, said that based of the information from the truck study, signage at the terminal was implemented, and fliers of the Port’s designated truck route are distributed to truckers quarterly or as needed to remind them to follow the designated truck route. The Port conducted another truck study on March 21, to have an understanding of the number of trucks that use the 29th and Boston Avenue entrance ramp to the five freeway, according to Valentine. He said that at this time they do not have an answer for whether they support the truck ordinance, but they hope to get a better understanding of the impact with the result of the new study and conversations with the Port’s tenants. Marino said she is hopeful that there will be a change and understands that it takes time, but she is worried some of the older residents on Boston Avenue will not live to see that change. Valentine said if community members observe truck violations can call: (619) 686-8282, and a staff member will follow up with their complaint. Gonzalez said that although the industries that surround the community bring in jobs, the traffic from the freeways, the Coronado Bay Bridge, and the cars and trucks that drive through the community account for 40 percent of the pollution in Barrio Logan. 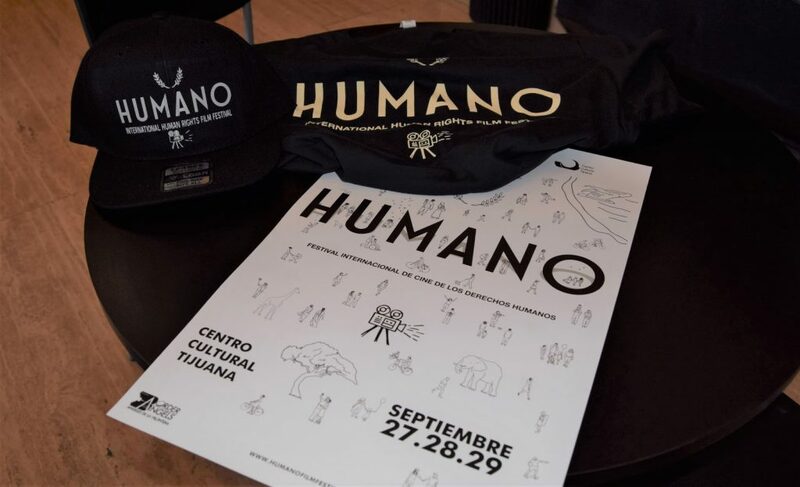 “At the end of the day what the community wants is the priority it’s not what the companies want, (or) what the industries want,” Gonzalez said. Members of the Environmental Health Coalition will present a policy brief of the proposed ordinance to the San Diego City Council’s Environmental Committee on April 12.